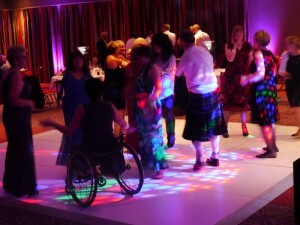 Radisson Blu Hotel In Durham: Mobile Disco & Mood Lighting Provided By Flashdance Disco for the party that was organised by Louise Medus-Mansell. The Radisson Blu Hotel in Durham City was given a splash of colour courtesy of our Mood Lighting service and to add to the great atmosphere, the Flashdance Mobile Disco service provided the great party atmosphere. This was the first time the Flashdance Disco team had been to the Radisson Blu hotel that sits on the bank of the River Wear in one of the finest locations in the North East of England. We were hired by Louise Medus-Mansell who was one of the last babies to be born with the effects of the drug thalidomide. On the last day of a two-day event in the North East, Louise organised the party for fellow supporters and those affected by thalidomide. She hired Flashdance Disco and not only did we entertain the guests, but we also installed our Mood Lighting service and lit the function room up in their chosen colour of purple. The two services worked hand in hand and we thoroughly enjoyed performing and being a part of the party. Our instructions included playing a wide selection of music and we did that for the various people and age groups in attendance. To keep the attendees amused, there were also casino tables, but we were on hand to get the party in full swing. Louise is also the author of a book called ‘No Hand To Hold & No Legs To Dance On’ and is published by Accent Press. Party & Mood Lighting Venue: Radisson Blu Hotel in Durham City in County Durham. Flashdance Disco has been to the prestigious Rockliffe Hall Hotel in Darlington. This fine County Durham Hotel has some of the highest levels of service, food, accommodation and facilities in the North East of England. 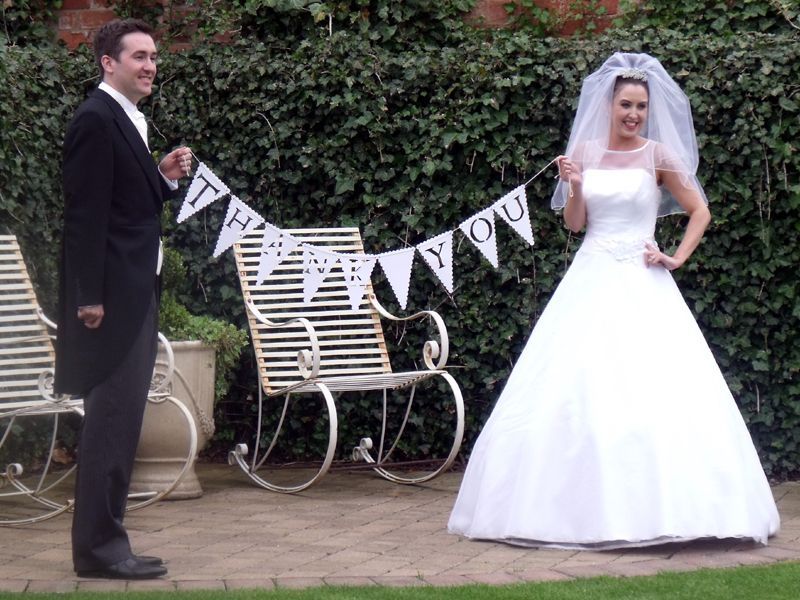 One of our recent bookings at Rockliffe Hall Hotel was for a couple who held their wedding reception in the Rockliffe Suite. They selected Elvis Presley’s “I can’t help falling in love with you,” as their first dance. 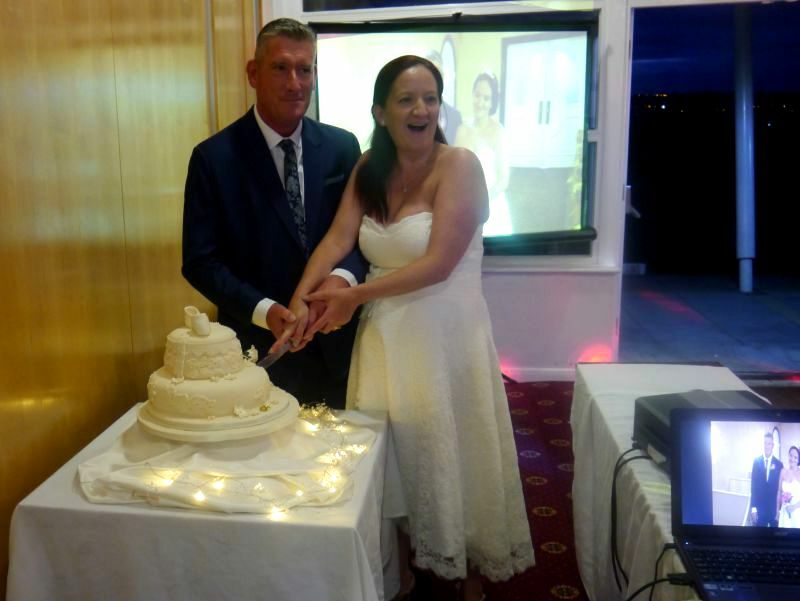 The couple wanted a wide selection of music and that’s what we gave them for their evening celebrations. We also had the pleasure of a ceilidh band who introduced their unique form of entertainment for an hour. Flashdance Disco provided the majority of the entertainment and a great night was had by all. 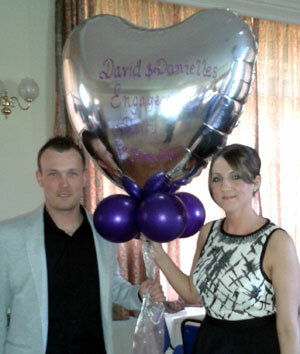 Danielle & David at their Engagement Party at Crook Golf Club. Thanks to Flashdance Disco for a great disco on Saturday night at Crook Golf Club. Our Engagement Party was fantastic! 50th Birthday Party Mobile Disco/DJ for Christine provided by Flashdance Disco at The Green Tree Pub in Tudhoe, County Durham. I would like to thank Flashdance Disco for making my night so special for my 50th birthday at The Green Tree, Tudhoe. Michael ensured that the evening went as I wanted it to and played the right type of music asked for. A party to remember and I would definitely choose Flashdance Disco again if I needed a disco in the future.